As parents, we try to instill Christ-like character traits in our children, but many times it feels like we are falling short. It was so nice to get this affirmation from an outside source that when our kids are away from us they are not always acting like total heathens. 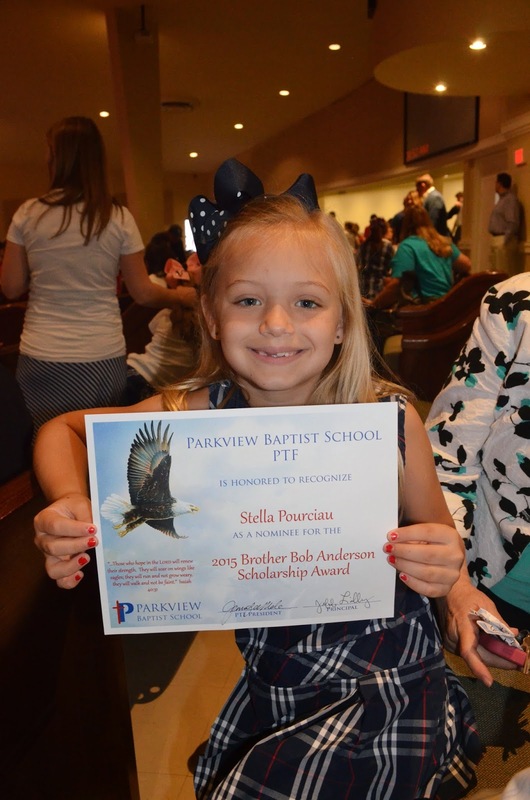 Congratulations, Stella! We are very proud of you!